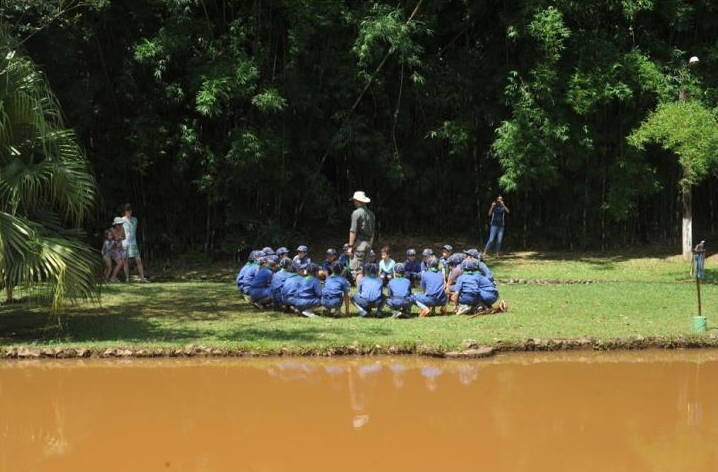 Carajás held their first Group Activity on Sunday the 4th March in the beautiful setting of Piracaia, São Paulo.It was an excellent day with over 150 people present, including Cubs, Scouts, Scoutas, Rovers, Leaders, Old Carajás and Family Members. An amazing energy was complemented by the superb weather, raising the scout spirit even more. The day was full of activities for all members, including the parents, with our traditional Going-Up ceremony, when the older Scouts/Scoutas move on to the Rovers and the older Cubs pass on to the Scouts/Scoutas for new and more adventurous experiences within Scouting. On this occasion, we also held our AGM which was very well attended, as well as a very special guest: Hugo Vidal from Operation Pineapple – a trip to Alaska in a Jeep in 1955 to participate in the World Jamboree in Canada. Obviously, I cannot fail to mention the enthusiastic involvement of the CaraPais (parents) and their organization of all the food – simply delicious! 2018 has already started at full speed and promises to be another incredible year!